A growth mindset is reinforced in every class and we encourage all students to at least try an activity and not be afraid of making mistakes. 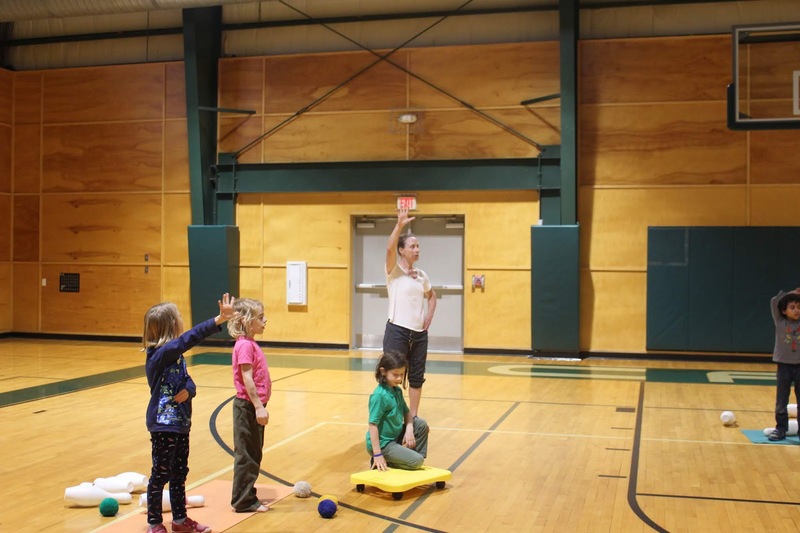 We are currently focusing on fitness and learning how our heart and lungs respond to a variety of movements and activities. 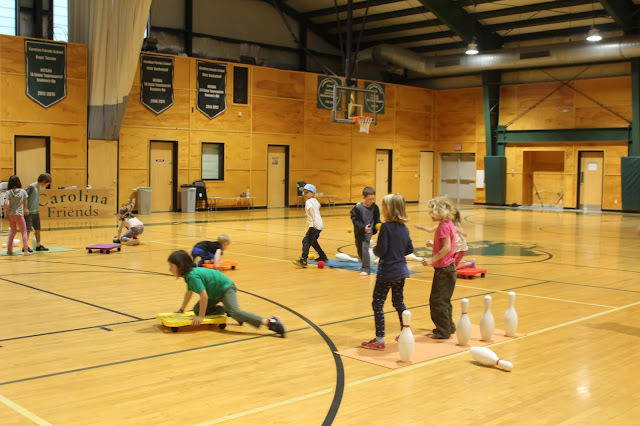 So far students have played FIT DECK Tag, designed obstacle courses, and played a variety of chase and evade games, worked together with a very large parachute and enjoyed some competitive Battleship using scooters, yarn balls, and bowling pins. 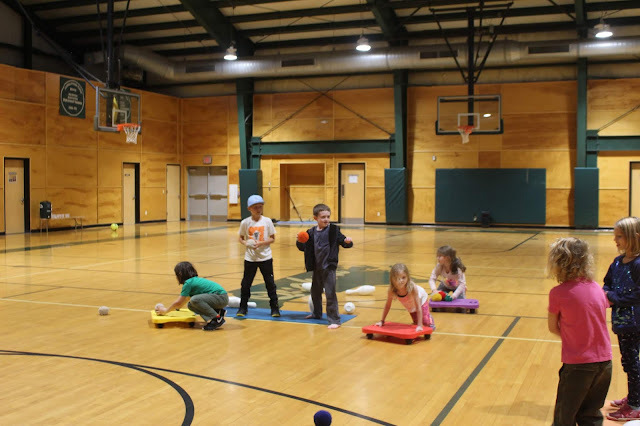 Students love to keep moving and especially enjoy any activity that involves dodge balls or scooters. During the winter months, we will build on their motor skills by adding more complex activities requiring throwing, catching, kicking, trapping, striking, volleying, rolling and dribbling. We will wrap these skills into a sampling of sports like basketball, soccer, volleyball, and hockey.